When it comes to selecting the most suitable structure for your business we always recommend you ‘start with the end in mind’. Australian tax laws are multifaceted and shifting your business structure at some point in the future can trigger a capital gains tax event that could prove costly. When assessing business structures, you also need to contemplate the likely viability of the business, the tax position of all stakeholders and the risk profile of the industry. Therefore, we often find the business structure is a compromise based on the relative importance of each of these issues. company and family (discretionary) trust. 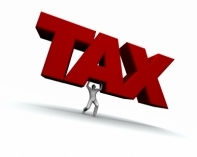 Below is a very brief summary of these structures and their tax treatment. Before you make a decision on which structure is the most appropriate for your business circumstances we urge you to contact us. should i set up a trust or a company? Although a partnership is not personally liable for income tax, it is still required to file an annual income tax return to report its partnership profit or loss. Each partner then includes their individual share of the partnership net profit or loss in their individual tax returns. Companies limited by shares – the most common type of company. No Liability Companies – where the shareholders have no liability. Unlimited Companies – where the liability of members is unlimited in the event of winding up. A trust is not a separate legal entity but refers broadly to an obligation accepted by a person or persons (the “trustee”) in relation to property (the “trust property”), for the benefit of another person or persons (“beneficiaries”). Discretionary Trust – In a Discretionary Trust, some or all the entitlements of the recipients (in any income year) are governed by the exercise of the trustee’s discretionary powers. The trust instrument may specify limits on the extent of the trustee’s discretion. The discretion may include the right to add or remove beneficiaries. *Small Business Entities on or after 1st July 2016 with less than $10 million aggregated turnover. The corporate tax rate will remain at 30% for all other companies that are not small business entities.